The son of an Evangelical pastor, Bart Campolo spent thirty years in Christian Ministry before leaving religion. 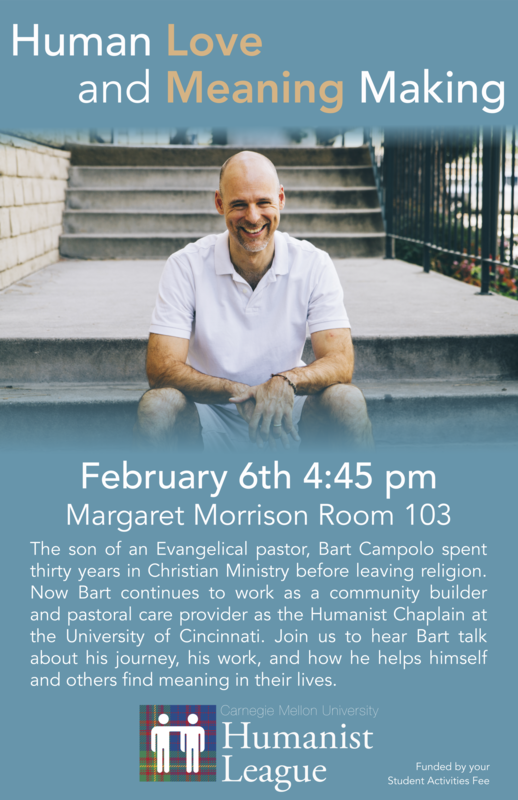 Now Bart continues to work as a community builder and pastoral care provider as the Humanist Chaplain at the University of Cincinnati. 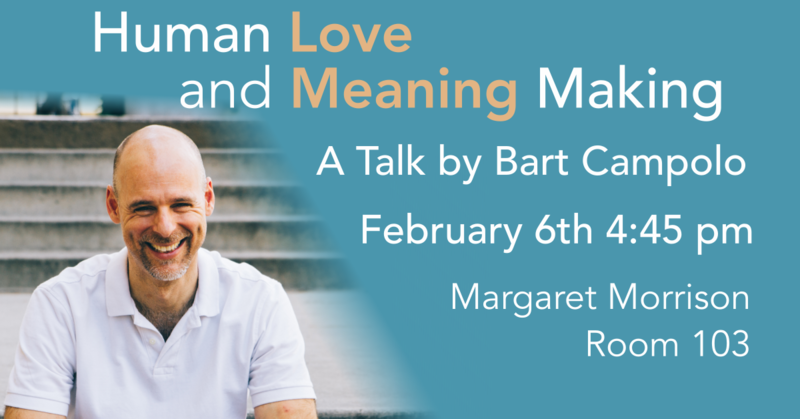 Join us on February 6th at 4:45 pm in Margaret Morrison Room 103 to hear Bart talk about his journey, his work, and how he helps himself and others find meaning in their lives.